OK, so this was a little different than your normal store sign. 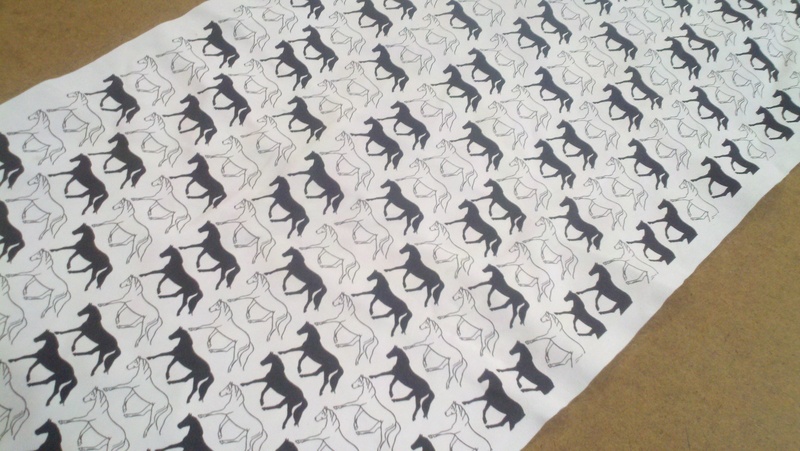 Our customer wanted to print on deerskin, and sent us a full deerskin. Well, it was never going to get flat on the machine, so we cut it out to a rectangle. With a little fussing we got it to lay flat enough that the vacuum held it down OK. It surprised us by printing great! The other thing we were worried about was whether the ink would crack when the leather was stretched. No! It was as supple as the deerskin. So maybe this is something else we can do with our versatile (and more every day) flatbed printer. This entry was posted in Flatbed printing and tagged flatbed printing on leather, printing on leather, UV curable printing. Bookmark the permalink.